“Liam is awesome. He’s 8 years old, and he’s on the spectrum.” said Rebecah Lamb. Rebecah is Liam’s mom, and his family has done everything they can to help and accommodate Liam, even moving cities. “We’ve tried all these types of therapies throughout Liam’s life, we’ve been to horse therapy, you name it, we’ve done it.” said Lamb. But then Liam was introduced to water. 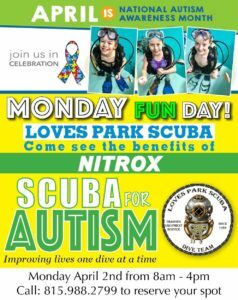 Liam started the Scuba for Autism program at Loves Park Scuba, and Rebecah says she’s already seen an incredible difference. “His speech has increased in ways, like even when he speaks to me, I’m blown away. For a spectrum mom with a child that had basically no language last year, that is huge for us.” said Rebecah. 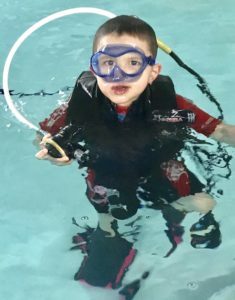 The program has been around for a year, after the owner, Dan Johnson, realized that his 11 foot pool and the Nitrox provided directly correlates to the therapy used in hyperbaric chambers. 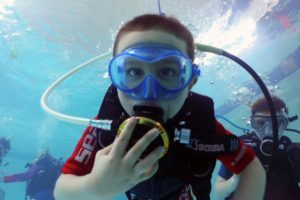 “After a short period of time with the scuba diving, the kids they feel better, they’re more alert, more social active, more eye contact, it’s really helping them a lot.” said Johnson. The program is a way to give back to the community that Johnson never thought he could. 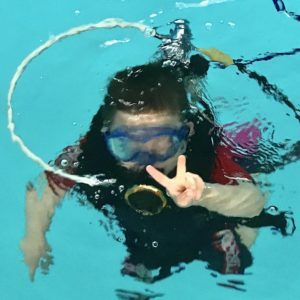 “Normally we help adults, children, so forth for scuba dive, and teach them how to scuba dive. This we’re actually helping the kids become better kids.” said Johnson. And it’s something Lamb is extremely grateful for. “It’s a beautiful thing, it’s a blessing, it’s a dream come true.” said Lamb. A popular water activity is changing the lives of local stateline kids and their families. 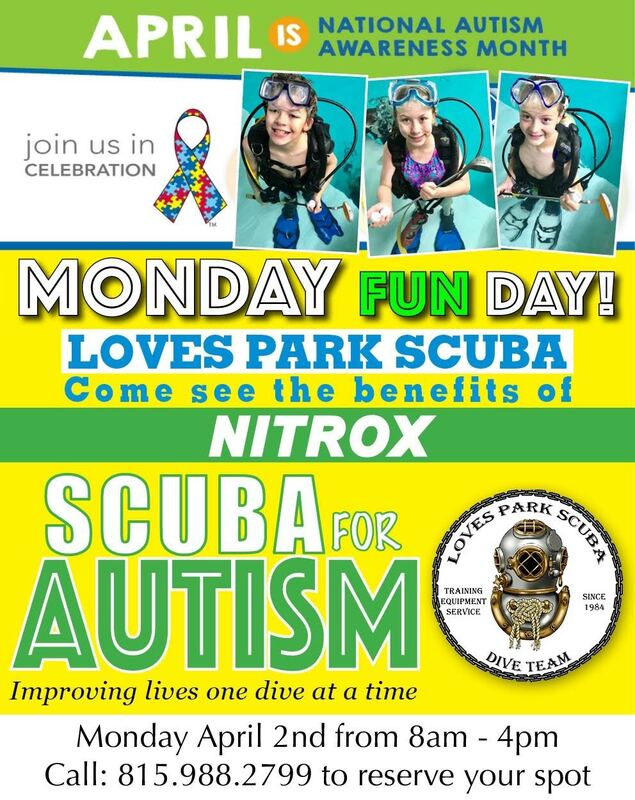 Loves Park Scuba recently started a new program, Scuba for Autism, giving kids and young adults the chance to experience the calming effects of being underwater, where distractions are minimized. The practice mirrors being in a hyperbaric chamber, increasing the amount of oxygen they receive at a different pressure level. The results being seen so far are nothing short of incredible. “It’s amazing! Like, he asked somebody today how their Easter was and I literally broke down in tears. 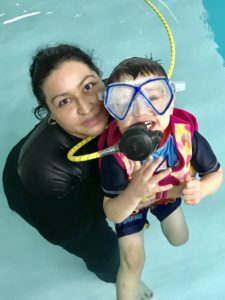 For a parent that doesn’t have a spectrum kid its, you know, like, oh, well, whatever, but for spectrum moms who have a child who has a lack of speech that is the biggest thing that could have ever happened. It was amazing,” says Rebecah Lamb whose son is in the program. Other parents with children in the program have seen significant progress.